Jesus told the stories of "the father and son", "the lost sheep and coins", and let us understand how God loves us. 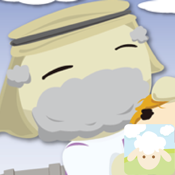 The "Lamb Bible" project is a multimedia eBook project for children based on tablets and mobile devices. We welcome anyone who is interested to participate.